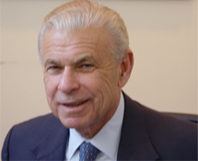 Robert H Levine, M.D. is in the private practice of psychiatry and psychopharmacology in Manhattan. He is a Clinical Associate Professor of Psychiatry at New York Medical College. He has held a number of academic positions at various medical schools in the New York City area. He has taught medical students and residents at Cornell Medical Shool, N.Y.U. College of Medicine, New York Medical College and Downstate Medical College.He is an attending physician at Lenox Hill Hospital. He does not participate in any network, healthcare plan. Dr. Levine received an A.B.degree from the University of Pennsylvania and an M.D. degree from the New York University College of Medicine. Following medical school, he served as an intern at the Mount Zion Hospital in San Francisco, California. After his internship he did a residency in General Psychiatry at New York Medical College. He also completed a fellowship in Biological Psychiatry at New York Medical College. Following the completion of his residency, he served two years in the United States Air Force as Chief of Psychiatry at the Dyess Air Force Base. He has held a number of academic and administrative appointments. He is currently an Associate Professor of Clinical Psychiatry at the New York University School of Medicine. He is a diplomate of The American Board of Psychiatry and Neurology (Psychiatry). He is a Life Fellow of the American College of Psychiatry.